This bundle include a Powerpoint presentation with student guide notes handout and a 10 questions review for summative evalution. 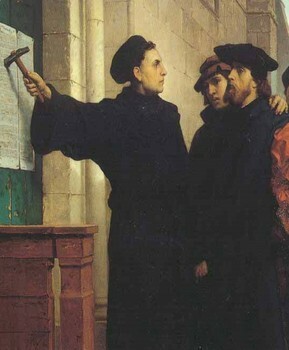 The presentation covers the Reformation, the English Reformation and Counter (Catholic) Reformation. Presentation also includes excerpts from the 95 Thesis for review of a primary source document.